The 15th Station podcast was launched on the Feast of the Assumption (August 15) 2007, as that is the feast day of New Zealand. The podcast was launched as a collaborative project sponsored by the NZ Catholic national Catholic newspaper as part of its “new media” strategy. We named the podcast after the Stations of the Cross. The last station (the 14th) ends with Christ’s body being laid in the tomb. Of course, we all know that the next station would be Christ’s rising from the dead – which our Church is the product of. So, we named this new media project after that glorious moment when Christ conquered death and sin and gave us all new life.  In late 2008, just ahead of the first birthday of the original podcast, the 15th Station became a podcast network with the launch of two new podcasts: Catechiwi, a monthly catechesis/teaching podcast; and Familia, a monthly pro-life podcast in partnership with Family Life International in New Zealand. At the end of 2009, as the network of podcasts and blogs continued to expand, the NZ Catholic team needed to focus their resources on their core business of producing New Zealand’s top Catholic newspaper. So, they looked for a partner to take the reins and continue to expand and develop the Catholic new media projects they had so ably started. Enter Icon Media, a new New Zealand organisation which had been formed specifically to spread the message of the Church using digital means. The vision for the 15th Station is to continue to invest in and grow the stable of podcasts, as well as form partnerships with other Catholic media organisations throughout the country and the world, such as SQPN. The first new podcast under this vision is Ignition, a regular podcast launched in 2011 that provides serialised access to some of the great lectures and other content from events like Hearts Aflame and 6pence. We hope you enjoy what we have to offer. Thanks for tuning in to the 15th Station. The 15th Station is our monthly news podcast. We get a panel of Kiwi Catholics together to provide a Catholic perspective on the news and current events of the month. Catechiwi was our monthly catechesis podcast where we get a guest theologian from around the country or the world to speak on an aspect of the Catholic Faith. Ignition leverages our partnerships with organisations like Hearts Aflame to provide a back catalogue of amazing lectures and talks from international speakers. We divide these talks up into regular multi-part podcasts. Bishop Patrick Dunn, the bishop of the Auckland Diocese, has featured on a number of our videos and podcasts, including 15 Minutes with the Bishop. We are lucky to be able to bring some of the bishop’s thoughts on special liturgical events and feast days to you as they come to hand. The Familia Podcast, through our partnership with Family Life International, is our pro-life issues podcast. Covering everything you need to know about the Catholic position on life, death, sexuality, abortion, contraception, and euthanasia, Familia is a vital resource for every pro-lifer. The podcast is currently on hiatus while the team in Christchurch settle down after the earthquakes that have rattled the region, but you can still access the archives of great content.